You can win a $329.00 Pair of Motorola VerveOnes ME Wireless Earbuds and Motorola Sphere 2-in-1 Headphones and Speaker unit. Listen up! Some things just go better together, like this tech prize pack from Motorola! 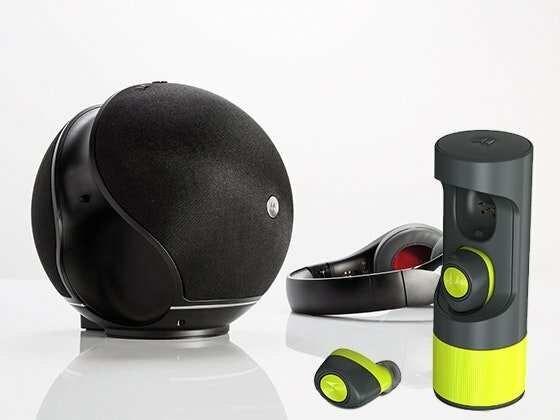 Pair of Motorola VerveOnes ME Wireless Earbuds and Motorola Sphere 2-in-1 Headphones and Speaker unit. $400.00 value, win the newest Acer Aspire laptop PC 15.6 FHD display intel dual core 1 TB wifi webcam windows 10 from our fellow sweepstakes friends over at Sweepstakes Advantage. Bogle Vineyard is giving one lucky winner a 65” Smart OLED TV, Home Theater System, Mont Alpi Pizza Oven and Movie Streaming for One Year. More prizes to win too!